Bridging the gap between the programming required to access VLASS data and the coding abilities of undergraduate physics students. The NRAO-led National and International Non-Traditional Exchange (NINE) Program, part of the NRAO Office of Diversity and Inclusion, trains and mentors participants in the full spectrum of science, technology, engineering, arts, and mathematics radio astronomy through bilateral partnerships. The ultimate outcome is to prepare the NINE participant to take on the role of a NINE trainer and establish a NINE hub at their home institution. At the NRAO, I was a participant in the 2018 National and International Non-traditional Exchange (NINE) programme. Getting involved with the program was as a result of being in the right place at the right time. 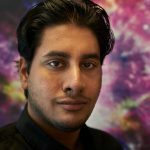 The NRAO has a uniquely positive agenda with under-represented communities to develop radio astronomy programs through their Office of Diversity and Inclusion. Many of their outreach programs help develop already existing radio astronomy programs. 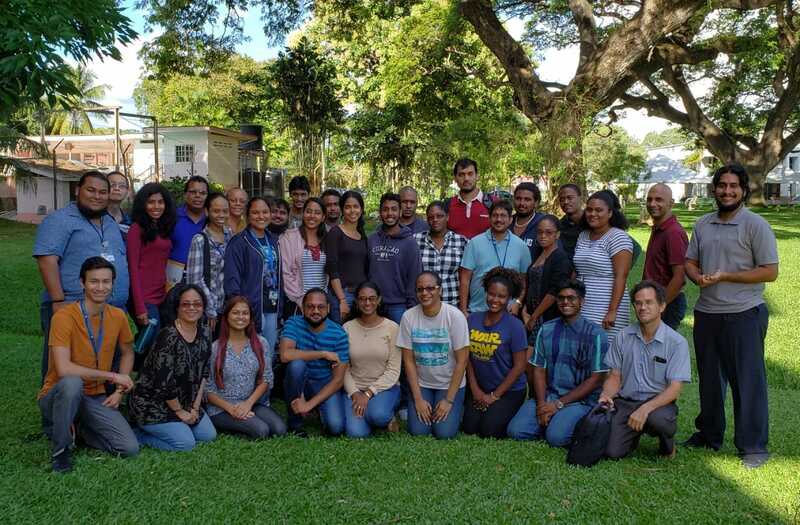 However, the objective of the 2018 NINE Summer program was to initiate radio astronomy programs at two Universities: The University of the West Indies (UWI) and the University of the Virgin Islands (UVI). I was nominated to represent the UWI. The program involved training students from these Universities in processing high quality images from the Very Large Array Sky Survey (VLASS) as well as project management practices and concepts. The outcome of my training in radio astronomical image processing was the creation of a VLASS cutout generator. 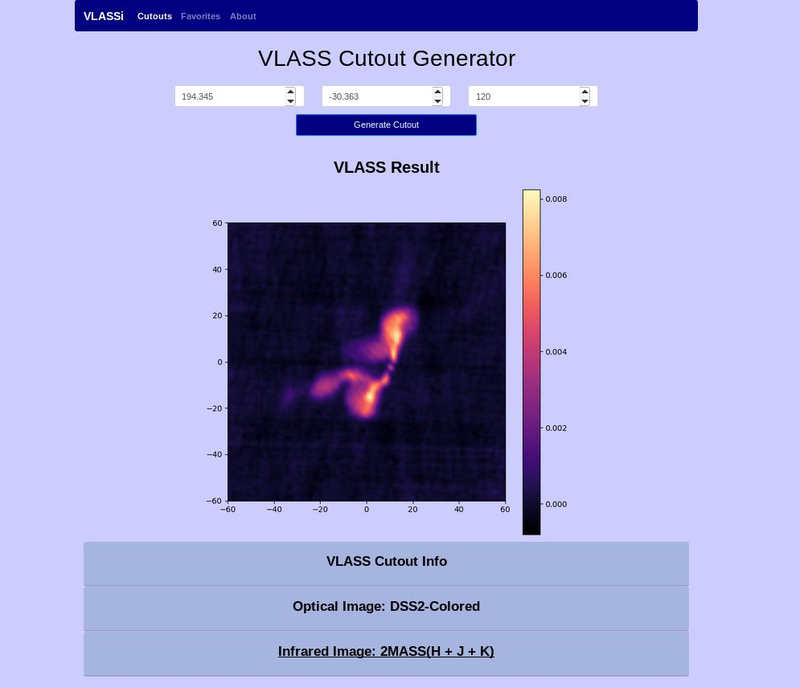 The goal of the VLASS App was to bridge the gap between the programming required to access VLASS data for scientific purposes and the coding ability of undergraduate physics students at my University (UWI). Although the App was designed for undergraduate physics students, its minimalist, simple user-interface results in varying use cases for many scientists. One of the basic features of the App is that it allows users to quickly test any desired sky coordinates and determine whether or not the VLASS has images covering that region. My background in electrical and computer engineering meant that I was at ‘astronomical’ disadvantage for theoretical radio astronomy concepts, but in terms of the technical requirements of the NINE programme, it signified that I was appropriately equipped as radio astronomy relies heavily on electronics and technology developed by engineers. Advancements in engineering enable the progress of fields, like radio astronomy, which rely on electronics and instruments. The App was developed on a Raspberry Pi—which is a low-cost computer, selling for only a few dollars on Amazon. Thus, the App was deployed without the internet for a minimal cost.One of the core concepts of the NRAO NINE program was the emphasis on sharing knowledge. Hence, upon completion of the training at the NRAO, the Universities involved were required to host workshops to ensure the transfer of the technical knowledge acquired during the summer. This was achieved on Saturday, 15 September at the University of the West of Indies. The all-day workshop involved teaching students, staff and enthusiastic members of the public how to set up a python programming environment and display radio sources found in the VLASS dataset. It would not be an understatement to describe the workshop as a success because it was almost fully booked and involved training over 30 participants. Jason Renwick completed his Bachelor of Science in electrical and computer engineering in June 2018 at the University of the West Indies St Augustine Campus. In 2014, as a first-year undergraduate student, he was awarded a NASA scholarship at Ames Research Center in California, which led to another internship at NASA Ames in the spring 2015 (where he received a NASA Ames Honor award). The following summer he was a research intern at IBM T.J. Watson Research Center in New York. After graduation, he was invited to participate in the National Radio Astronomy Observatory (NRAO) NINE program based at the University of Virginia in Charlottesville, Virginia. While not engaged in academic research, he enjoys spending time engaged in photography and amateur astronomy.